In 2004 I was resarching alternative cancer therapies and heard about Dr. Stanislaw Burzynski in Houston, Texas. 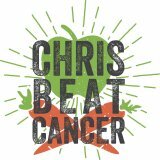 I was told that he had developed a non-toxic therapy that was more effective than chemo or radiation on even the most aggressive cancers. So yeah, he was on my short list of doctors to see if I my natural approach didn’t work. 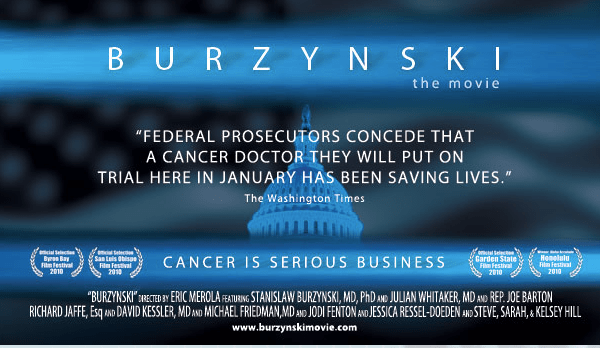 “Burzynski The Movie” documents the amazing cancer treatment discovered by Dr. Burzynski called Antineoplastons and how the FDA and the National Cancer Institute tried to shut down his clinic, prove his therapy didn’t work, and put him in jail while the U.S. Government tried to steal his patent. Really! There’s been a buzz about this movie since it was released in July 2010 and the filmmakers just made it available to watch online for free June 11-20th 2011. Micah and I just watched it tonight and it is so freaking awesome I almost exploded. Press play and enlarge it to watch it full screen. At some point they may take it down.